Ilham Aliyev’s family owns a 10,500-square-foot London mansion worth more than US$ 25 million. The house is on Hampstead Lane, in a leafy corner of North London – a cool oasis from the bustle of the central tourist zone. The red-brick building stands behind an imposing security gate, hidden from prying eyes by thick hedges. The curtains in its large windows are drawn, and the driveway stands empty save for a couple of service personnel who come and go in a battered Fiat Punto. It is an old neighborhood, and a rich one. Just across the street stands the baronial Kenwood House, an enormous wedding-cake-style structure built in the 17th century, which was once owned by William Murray, first Earl of Mansfield. It overlooks the rugged green expanse of Hampstead Heath, a kind of wild urban park whose landscapes inspired the great English Romantic poet John Keats. Nearby, the quaint villages of Belsize Park and Hampstead are home to the great and good of the British liberal cultural scene such as Liam Gallagher and Benedict Cumberbatch. In recent years, to the chagrin of long-time residents, oligarchs have bought up expensive properties in the area. In the booming real estate market of London, where house prices leapt by nearly 26 percent between 2013 and 2014 alone, these houses are fantastic investments for the super-rich. The house was purchased in 1998 when Aliyev was a vice-president of Azerbaijan’s State Owned Oil Company (SOCAR). It’s unknown how much the purchase price was, or how much he was getting paid back then. 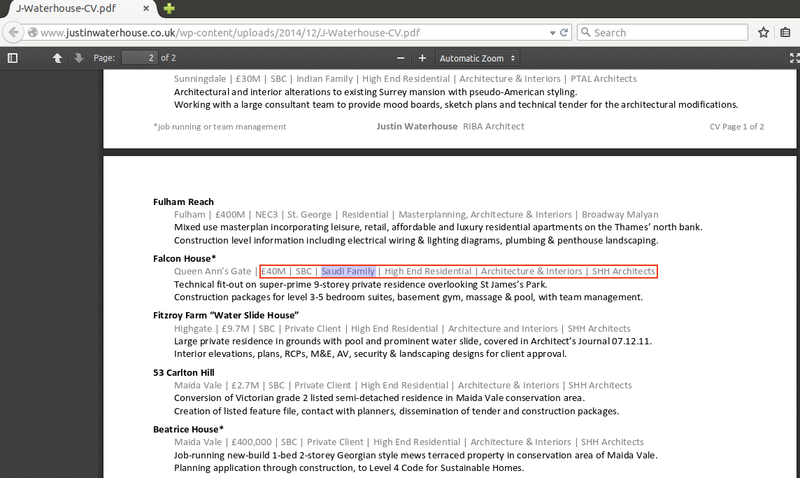 Land Registry records for the Hampstead Lane house, dubbed the “Mansion on the Heath” by its architects, show that it is owned by Beckforth Services Limited, a company in turn owned by the Aliyevs and registered in the Isle of Man, an offshore tax haven. Today Ilham Aliyev is the President of Azerbaijan, and the Mansion on the Heath is just one of multiple pied-a-terres used by the Aliyev family, which also maintains domiciles in Moscow and Baku. Today as president, Aliyev’s salary is about US$ 230,000 per year, raising an interesting question: how can he possibly afford such a large house in one of London’s most expensive neighborhoods? President Aliyev can rightly say that the Mansion on the Heath is no longer his house as documents for Beckforth Services Limited reveal that he and his wife, Mehriban, transferred their shares in 2010 to their eldest daughter, Leyla Aliyeva, who is now the sole shareholder. There is no indication in the paperwork of any money changing hands in the deal. But the Beckforth records do show another interesting anomaly: the elder Aliyevs used the address of the Azerbaijani State Owned Oil Company (SOCAR) as their personal address. Nice as the London neighborhood and house may be, they apparently weren’t quite nice enough. According to the website of high-end architects SHH, the firm was retained to enlarge and redecorate the property, although it had just been refurbished prior to the sale. Planning permission records from the London borough of Haringey reveal that the Aliyevs’ Beckforth Services Limited commissioned SHH to engage in “architectural refurbishment” on the Hampstead house. This included enlarging the master suite and building underground parking lifts. The Aliyevs’ neighborhood is one of London’s wealthiest. One of the owners of the Arsenal football club, Alisher Usmanov, owns a house down the block, which he bought in 2008 for £50 million (US$76 million). Although the exact value of the Aliyevs’ London property is not clear, their next door neighbor’s house was worth more than US$ 26 million two years ago. The Hampstead mansion is likely to be worth significantly more after the work performed by SHH, whose clients include wealthy Saudis and fashion designer Tom Ford. The Aliyevs did not directly buy the Hampstead mansion in 1998, but used Beckforth Services Limited to acquire it. Wealthy individuals sometimes use such companies to buy property to ensure their names do not appear on the property records. However, the documents for Beckforth Services spell out that its true owners are the Aliyevs, and that the Azerbaijani president and his wife listed the headquarters of SOCAR at 73 Neftchilar Avenue in Baku as their personal address. Beckforth Services Limited is an interesting company. It is run with the help of SMP Partners Limited, a company that handles a large portion of the registrations for gambling licenses in the Isle of Man and offers yacht and aircraft management to wealthy clients. Beckforth Services Limited may have also used “nominee” directors, figureheads who appear in official paperwork to run the company but are not really involved with the business. One of Beckforth’s directors was Edward Petre-Mears based on the Island of Nevis in the British West Indies. His wife and business partner , Sarah, was described as a “sham director” in 2012 by the Guardian. Just a few weeks after the story on Sarah Petre-Mears appeared, Edward resigned as director from the Aliyevs’ company and was replaced by Annette Heath a client services manager at SMP Partners. One of the first directors of the Aliyevs’ company was an accountant named Joel Steinhart, whose LinkedIn profile states that he offers “client driven solutions for high net-worth families” and provides services to “a small number of high net-worth individual clients”. SMP Partners, who set up and manages Beckforth Services Limited, also offers services to “private clients wishing to protect family assets… and optimise wealth” and “manages in excess of $6 billion of trust assets for clients”. The link between Beckforth Services and wealth management is problematic, given that the president and his wife are not meant to be “high net-worth” individuals or entrepreneurs. As noted above, Ilham Aliyev earns a US $230,000 annual salary, and he and Mehriban are forbidden from running businesses under Azerbaijani law. However, in this London example alone, their ownership of a hugely expensive property and use of a luxury architectural firm suggests the president’s family is spending far more than their visible means of income would support.